Today we worked on a big craft project. 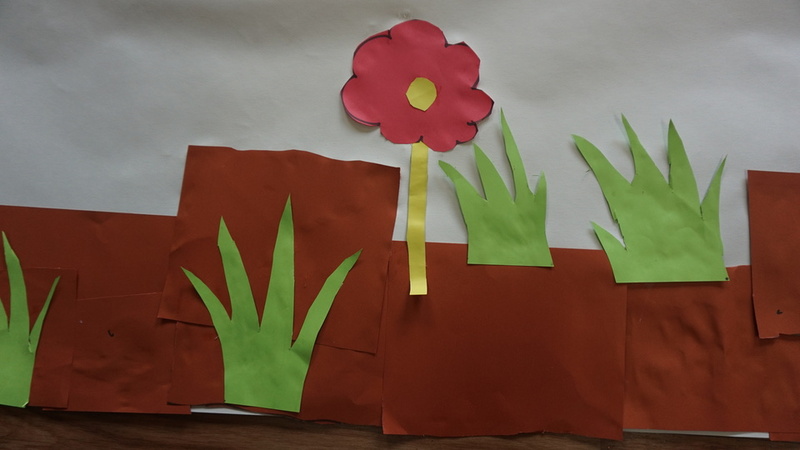 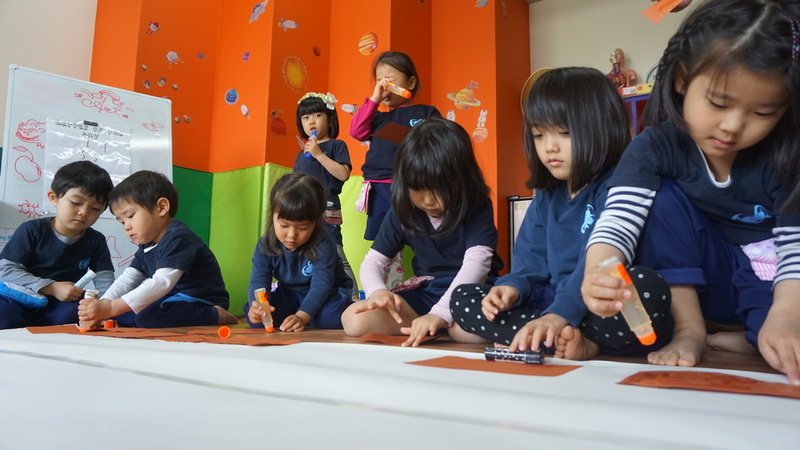 We pasted few flower on to a big white sheet. 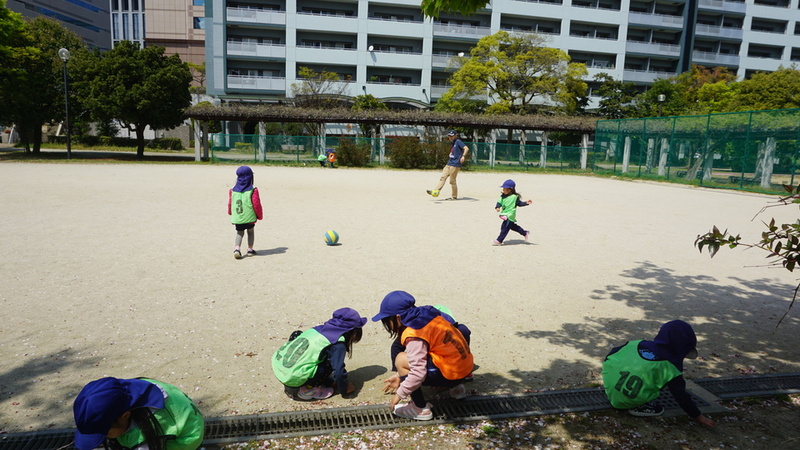 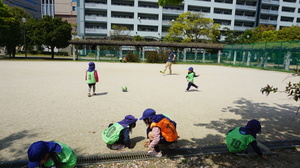 The big students went out side to play soccer. 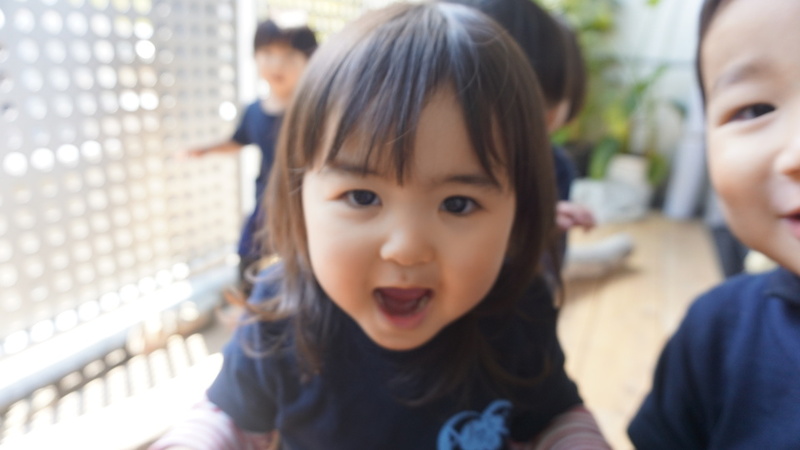 On the other hand the small kids played on the balcony. Today's sentence is "Be gentle to the plants."